The next phase of development is somewhat hazy. From inscriptions on Hadrian's Wall there appears to have been trouble in the province. By 206, the governor was L. Alfenus Senecio and the writings stand out because they were placed by Oclatinius Adventus, the procurator at this time. This suggests the governor was occupied by more pressing events. He had also appealed to Rome for reinforcements or 'an imperial expedition'. This would have been a huge undertaking considering the planning and transportation involved. The bribe given by Lupus would have bought only a few years peace and there was no need for the Emperor to launch any campaigns for political reasons. There was another problem with the army. They had been idle for some time and soldiers trained to fight and win campaigns had lost the discipline they were so famous for. We do know the Emperor gathered troops from the continent on his travels to Britain, so by the time he arrived, the force was enormous. There were offers of peace from the enemy, but these were refused. The enemy was undoubtedly North of Hadrian's Wall as the landings for the campaign were on the eastern coast of Scotland. Unlike Agricola, Severus had to settle for the Scots surrendering an area of the east coast rather than totally defeat them in battle. 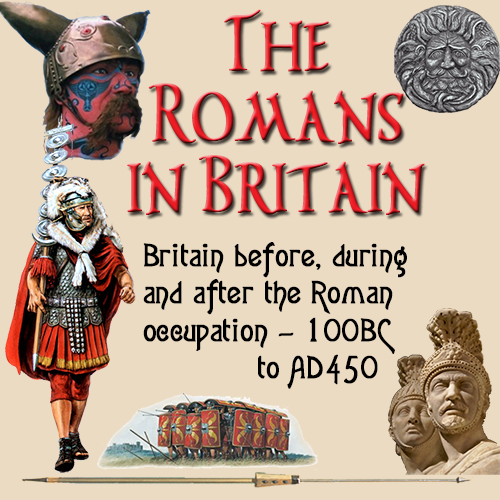 The tribes had learnt from the previous experiences and would not openly engage the Romans. However in 210, the Scots rose up again, breaking the peace agreement. This time Severus ordered his troops to massacre every tribe member, whether on not they were part of the fighting force. Anyone who was not Roman was to die. It was at this point that the emperor, who was terminally ill, passed command over to his son, Caracalla. The two tribes, the Caledonians had joined forces with the Maetae in an effort to see off the invaders. Severus had to conquer the Scots once and for all, as this campaign had completely alienated the tribes from any form of Roman activity and so meant they would never succumb to the Romans voluntarily. This was due to the Romans slaughtering anyone, man, woman or child they came across. On 4th February 211, Severus died in York. His last dying wish was for his work was to be carried on by his sons. He told them to have unity between them, enrich his troops and despise everyone else. No sooner had he died, than his son, Caracalla tried to force himself onto the Roman army as Emperor. This was not well received and so, possibly in anger, he withdrew his troops back south of Hadrian's wall and forced the united Caledonian/Maetae tribes into a peace treaty. Caracalla could not carry on the campaign with his army in a hostile mood towards him. He also had to shoulder the wrath of his mother, the formidable Julia Domna and his brother, Geta. The claim to the throne by Caracalla encouraged others to challenge for the position of Emperor. This put him into a precarious position, as now he had no supporters.